The AirSense™ 10 AutoSet™ is a premium auto-adjusting therapy device. It features built-in wireless connectivity capability, AutoRamp™ with sleep onset detection, Expiratory Pressure Relief (EPR™) and Easy-Breathe technology. 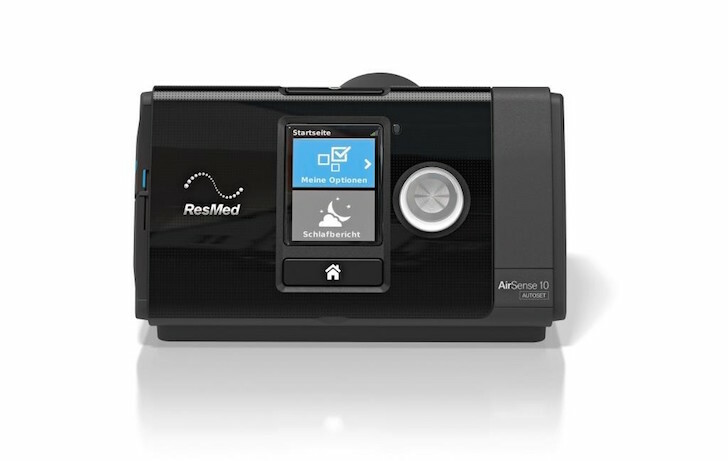 The AirSense 10 AutoSet provides advanced event detection, including indications of central sleep apnoea and Cheyne-Stokes respiration. Optional pulse oximetry monitoring is also available. Modes include AutoSet and CPAP.